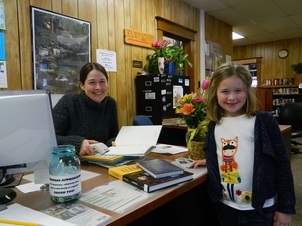 Located in ﻿the Mills Community House in Benzonia ﻿Michigan, the library serves residents and visitors to Benzie County. Our collection includes historic materials as well as current best sellers. Preserving yesterday, enriching today, inspiring tomorrow in our community. listen to The Next Idea, Michigan Radio segment featuring BPL. FEBRUARY 2019 meeting has been cancelled. Click the item below fore more information.